If your child is interested in a certain activity, show that you are interested and support it, such as running, BMX biking or whatever their interest is. If they enjoy it get interested and support it. If it is keeping them active and busy that is important. As a parent or carer, you need to be Superman or Wonder Woman! You are their role model so you want to be active yourself. If you are sitting there watching TV or on your computer or not being active it is not giving a good impression to them. They will do the same. If you are carrying a bit too much weight or not very healthy it is just going to follow through to your children. Set good examples. They want to look at you as if you are Superman or Wonder Woman! Especially on the school run. Bit of a tricky one as it might be raining or you might be in a rush or shopping, but it doesn’t take too long if you only live a mile or half a mile. It will set you up a lot better if you walk them to school. They get a workout and so do you. If you child isn’t into PE or football or any of the normal things, there are lots of other activities they could do such as street dance or other alternatives you can look into this. Whatever they are into, get involved and get them active. 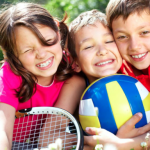 There are so many different sports and activities that children can try. There are lots of things happening at school in and out which they could try. By that I mean not surfing in the sea, but on the internet! Nowadays children are stuck a lot more in front of the TV and computer up to 5 hours a day. Kids are zombied into the PlayStation or other computer games. Take more control of the iPads, computers and TV remote and monitor their time on there and get them more active. There is a saying that all work and no play makes Jack a dull boy and obviously a bit less healthy. So join in together and let them play. Its healthier for all and fun. Playing is a good activity for the younger child. You will all feel better for it. 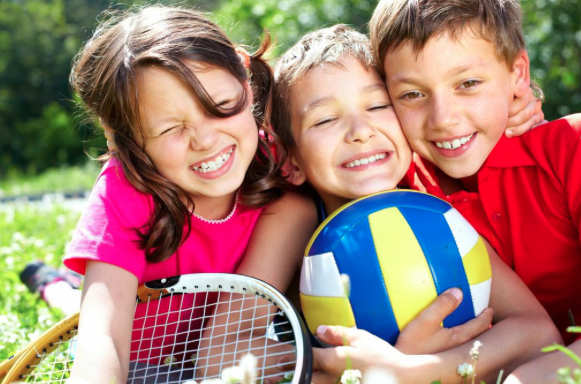 I hope you enjoy my tips for keeping children active.